Recently, reports confirmed that Vijay Sethupathi dubbed for the role of Ironman/TonyStark in Avengers: Endgame and the actor also participated in various promotional events related to the movie. ARR even scored a promo song for the movie. 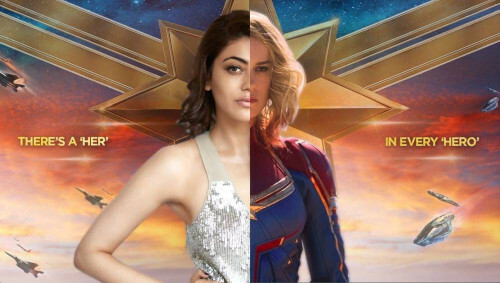 Now, we hear from an entertainment portal that Kajal was asked to give dubbing for Natasha/BlackWidow and she refused to do it. And now the dubbing was done by Andrea Jeremiah for that role.